The Course was designed by John D Harris as a major championship course of international standard. The course has, over the forty years, matured into one of the best inland courses in Munster and Ireland. A parkland course of 6763 yards with fairways of natural meadow grass planted on either side with Spruce, Evergreens and a wide variety of deciduous trees. The Shannon Airport (SNN) is a 2-minute walk from the Park Inn by Radisson Shannon Airport. The hotel is also just 2 kilometres from Shannon Golf Club for golf enthusiasts, and Bunratty Castle is just 12 kilometres away, a quick trip for history and architecture aficionados. The hotel is about 5 minutes from the Shannon Free Zone, Westpark and Smithstown Industrial Estate, which business travellers will appreciate. 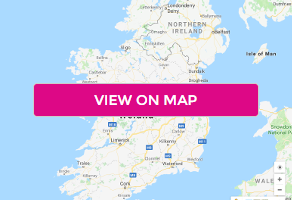 For those bent on sightseeing, the Bus Eireann lies about a minute away and connects visitors with other cities in Ireland. All 114 contemporary rooms are outfitted with Free Wireless High-speed Internet, en-suite bathrooms and work desks. Tuck into traditional Irish fare at Blair’s Bistro, or unwind at the end of a long day on the town with a pint at Blair’s Bar or on the terrace of the Reading Room. Guests can take advantage of convenient outdoor parking and keep up with their exercise routines with free access to the gym. The hotel’s 7 meeting rooms can accommodate up to 250 people. With Free Wireless High-speed Internet, individual climate control and natural daylight, these meeting rooms are ideal for business functions or special events.